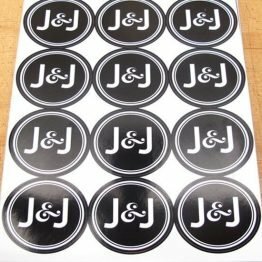 If you feel that a round sticker isn’t spacious enough to get the message of your campaign or special offer across, we produce a range of high-quality adhesive stickers and labels in various sizes. They can be used as sale stickers, address labels or even for packaging.Take your pick from circle, square and rectangle in an array of different sizes. If you can’t find the specifications you’re looking for please get in touch for a quote. We provide A4 sheets of square stickers, which are printed on sheets of 190gsm silk, pre cut sticker paper. Our backing paper is sustainably sourced and you have full freedom in choosing what size you want your stickers to be from our wide selection of pre-cut sizes. 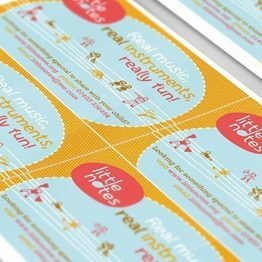 Our normal delivery for digitally printed stickers is 2-3 working days, 24 hour turnaround may be available on request, please contact us for details. Please note that prices quoted are for sticker quantity, rather than each sheet of A4 paper. If you would like stickers on a roll or individually cut please contact us for prices. Delivery: £9.99 UK mainland and free within the Brighton and Hove area. 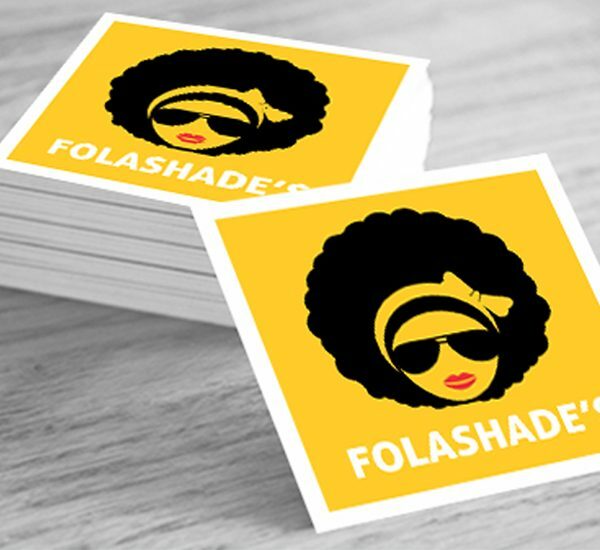 Turnaround times: The turnaround for Stickers is 2-3 days including delivery. 24 hour turnaround may be available on request, please get in touch to place an order. We also offer a full design service. Here at Toucan Print we provide quick turnaround printing for both homes and businesses. We provide high quality business cards, postcards, flyers, brochures, stationery and other premium print products. Excellent quality business card printing. Well above average customer service and attention to detail. I'll use Toucan Print again and again! Fantastic & friendly service, reliable & good quality. 5 stars! Lovely work on a small-ish quantity of booklet prints. Quick turnaround and at an excellent price. First time I used Toucan and will be requesting for more. Thank you! Working along side a printer that truly knows their craft not only provides valuable insight, but hugely contributes to the design process from both a creative and commercial aspect. Dave provides craftsmanship and experience as well as an excellent service and great prices. Top man, thoroughly recommend! Fast and friendly, high quality printing at very keen prices - strongly recommend them and I'll certainly be using them again. Such excellent service and fantastic prices, they couldn't have done more to help us, such a great company, would recommend them to everyone especially if you have tight deadlines they got it all done with time to spare. THANK YOU! I would highly recommend Toucan Print. Really attentive customer service, fast turn-around and superb quality print. Thank you for getting our pull up banners to us for such a tight deadline. Great customer service, and super helpful with any technical glitch with artwork. I would highly recommend Dave and the team. We had our Save The Dates printed with Toucan, and it was a dream. The quality of the paper and print was great. We will be using them for all of our wedding stationary. Good, detail-focussed personal service - essential to get at just what my client wanted. Thanks! We went with Toucan Print for production of our organisation's annual report. I found them to offer a consistently friendly and helpful service. The quality of the final product is good, meeting our needs within our budget. All in all they have been a pleasure to work with, and we are now working with Toucan for our other print needs. It feels like we've found a partner who can help us in the future. I highly recommend Toucan Print. 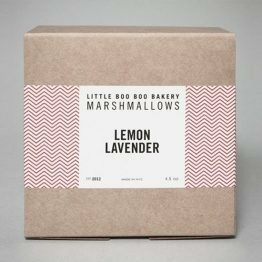 Excellent and friendly service, with competitive pricing and a good range of printed products available, and also offering an in-house design service. Give Dave a call! Highly recommended. Excellent print quality, very personal service and always meet deadlines.